Our extensive fleet of vehicles at Charles De Gaulle Airport includes roomy cars and estates for families abroad, sleek sports cars and convertibles for the luxury traveller and rugged 4x4s. We foster close relationships with premium brands like Mercedes-Benz and BMW so our customers can drive top-of-the-range models. Once you've chosen your car category, browse our range of optional extras and choose an add-on to suit you. A child seat is ideal for younger passengers while unlimited mileague really benefits drivers going long-distance. Sixt car hire at Charles De Gualle Airport allows easy access to motorway routes A1 and A3 which lead directly to Paris. Express Pick-Up: When you check-in online on the Sixt site, you can pick up your car at our Sixt Express Counter. Collecting your rental car has never been so speedy and hassle-free. 24 Hour Key Return: With Sixt you can drop your key off anytime giving you full flexibility. Otherwise known as Roissy Airport, Paris' main airport is just a 50 minute drive north of the capital. Cruise into the city with ease in your car hire and park up at the door of your destination. Numerous sights are littered across the Paris, all easily accessible by car. Experience Paris in true style and drive by top sights like the Arc de Triomphe on the tip of the Champs-Elysees, Paris' most stunning boulevard. Scale the spiralling hill of Montmartre in your rental car and use that saved energy to marvel at picturesque Sacré-Coeur and soak up the romantic ambience in this bohemian area. Lose yourself in the Louvre and meet the Mona Lisa and the Venus de Milo. Don't forget to check out the gleaming glass pyramid that doubles as the courtyard entrance. 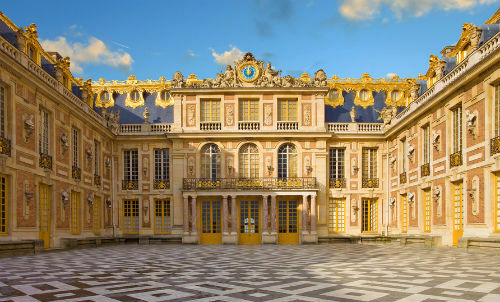 Escape the inner-city and wander among the spectacular baroque architecture at the Palace of Versailles, just a smooth drive from the centre . You receive your rental car from Sixt. For T1: The branch is located at Arrivals, Gate 26. For 2D: The branch is located in the shopping area between Terminals C and D. For 2F: The branch is located in the hire car park. From other terminals: take a shuttle bus or the CDGVal shuttle train to Terminals 1, 2D or 2F. Our staff at the desks in the Terminals 1, 2D and 2F will be happy to assist y ou during the opening hours. Upon arrival, simply follow the signs for "rental car". Check in online now to speed up the pick-up of your car. Please also double-ch eck the flight number so we can ensure that your vehicle will be waiting for y ou at the right terminal!